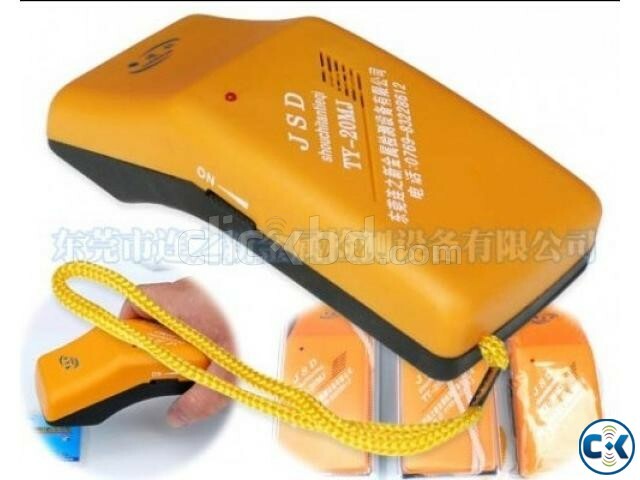 TY-20MJ Hand-held Needle Detector It’s called portable needle detector, which is small, and easy to carry by hand. It uses principle of magnetic field, can effectively detect out the exact location of the broken needle or Fe, which is especially suitable for the thin and small goods. After detection by the big standing needle detector, use this portable one to find the exact location of the broken needle or Fe to avoid the damage to the customers and improve the quality of the products. used to detect the broken needle, razor blade, and metal fragment, ferromagnetism metal such metal impurities in small, thin clothing, plush toys, ties, towels, scarves, socks, zips, medicine, and food and so on. Has the switch function sound to alarm. Easy to operate, convenient to carry, and has high sensitivity. Adopts imported digital chip, has stable capability and durable. Can exactly recognize the location of the broken needle. It will continuously sound when the voltage is lower than 6V, then need to replace the battery. Can be used to detect the ferromagnetism impurities in clothing and fittings with hardware buttons. Can detect the ferromagnetism impurities in medicine, food, industrial chemicals. Can inspect the nails, steel bars in wood, wall, tables and so on. Can inspect whether there is harmful iron dust inside when someone is injured. Also can be used in frontier inspection, the government worker can rapidly search the hidden weapon of the criminals.